Simply provide us with your season ticket number when purchasing. Buy online and save ££’s. Special Funpark Top Up Ticket to use in addition to your Season Ticket access to Junior Farm. Tickets can be purchased up until midnight the day before you book to visit. So, your Junior Farm Season Ticket with Funpark Top Up gives you the perfect Combo Ticket. It is great value for money if everybody wants to have a go at everything! Adults can enjoy several of our rides too! How do I use my Funpark Top Up Ticket? You will need to redeem your wristbands at the JUNIOR FARM KISOK by presenting your Funpark Top Up Ticket(s) Confirmation. As a Season Ticket Holder you have access to the Farm already and to have access to the Funpark you will need one of our special Funpark wristbands. Junior Farm is accessible to wheelchairs but please be aware that all paths on the Farm are gravelled. The pathways leading to the Children’s Funpark are gravelled with a honeycomb weaving base. Most of the rides and facilities are on raised platforms which have yellow highlighted edges. The rides have a mixture of ramps and steps up on to ranging from 8cm to 40cm; some are also accessed through a latched gate. There is seating available for those not enjoying the activities. The Adventure Golf has many fun features, one of these being water (shallow). Just beyond the Funpark and the Golf is a small grassed play and picnic area. 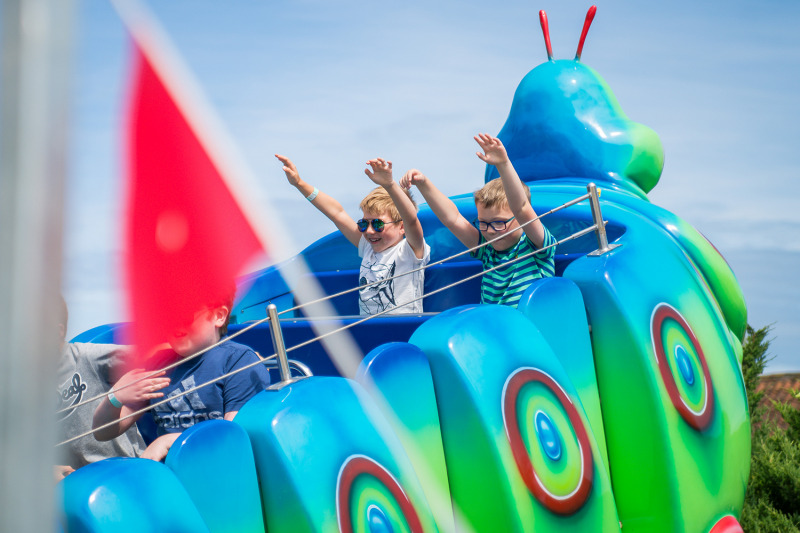 On Junior Farm, sadly no food or drink is allowed, but of course your wristband allows access on and off the Farm all day and there is a Restaurant and Coffee Shop on site as well as the Picnic area too. Are there toilets close by? Toilets are situated close to Junior Farm - near the Wroxham Barns Restaurant.